Stay tuned for new referral program dates! We recognize that our school families can be our greatest form of advertising. To say thank you, we invite you to take part in our referral program. It’s simple. Spread the word about St. Rita School, introduce a new family to us, and receive a referral bonus. Please note: The new family must submit their application during the designated referral week only to take part in the referral program, and the referral bonus will depend on acceptance and commitment. 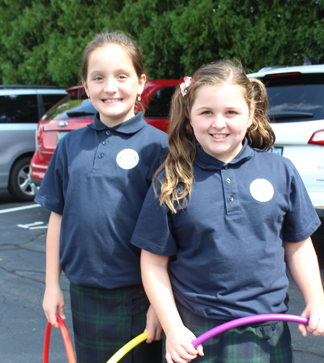 Refer a family to St. Rita School and you will receive a $250 referral bonus applied to your school account. Referred family must be a new family to St. Rita School. Referral bonus is a flat amount regardless of the number of students who enroll per family. Referral program form must be filled out and signed by both families and returned with new student application. New family must be enrolled at least six months in order for current family to receive a credit on their school account. Referral program applies to new students entering pre-kindergarten through grade 8. Refunds of credit will not be available.